We'd like to congratulate Michael Grevholm to his record catch of a 15,2 kg heavy and 115 cm long salmon! 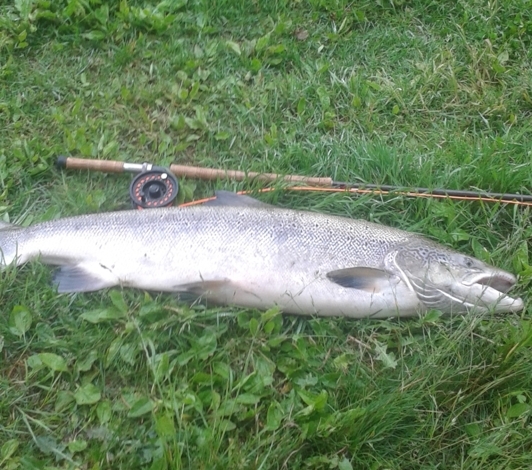 It's the biggest one (recorded) caught on fly-fishing in Lagan in modern history. It was caught on the northern side of Gröningen.